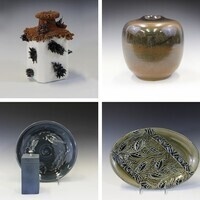 The Clay Guild at Harper College will showcase one-of-a-kind clay pieces at its annual Fall pottery sale. Original items will range from plates, mugs and vases to wall décor, garden sculptures, jewelry and more. The sale runs from 9 a.m. to 6 p.m., Wednesday, April 24, and Thursday, April 25, in the main concourse of Avanté. Cash or personal checks. For more information, contact Sam Rosby of the art department at 847.925.6495 or srosby@harpercollege.edu.